The show became even more interesting after BMW has announced that the upcoming 2008 BMW X6 will make its U.S debut at the Detroit show in January. 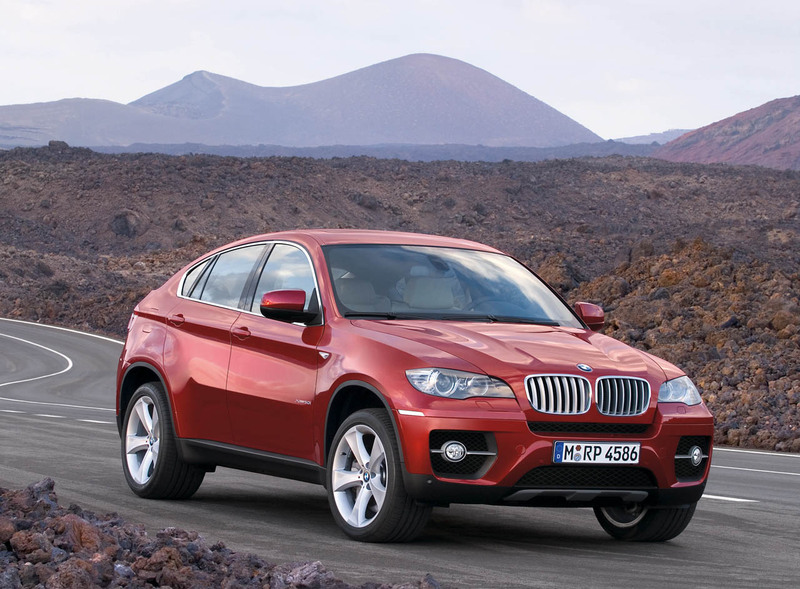 The X6 Sports Activity Coupe will arrive in US showrooms sometime during the second quarter of 2008. The xDrive50i is powered by a new twin-turbo, direct-injected 4.4L V8 pumping out 400-horsepower and 450 lb-ft of torque. The xDrive35i, meanwhile, gets the automaker's acclaimed 300-hp TT inline six-cylinder. Dynamic Performance Control is a standard feature that can direct torque to either rear wheel, further aiding steering in both dry weather and sloppier conditions. BMW claimed 0-60 time of 5.3 seconds for the turbo V8 model. For more info on this new model, please feel free to read our BMW X6 section. Woodcliff Lake, NJ – December 15, 2007, 6PM EST… BMW will once again introduce a ground-breaking idea to the world and the creation of a new segment with the debut of its all-new X6 Sports Activity Coupe at the 2008 Detroit Auto Show in January. The all-new vehicle redefines the very notion of a coupe — with five doors and four sculpted seats, a higher ride and loads of cargo space. It defies coupe conventions in one jaw-dropping look, combining coupe agility and SAV versatility, taking the coupe to a higher level. BMW's X Models already available today owe their outstanding agility largely to the supreme performance and qualities of ICM. Now the central control unit has an even greater and more progressive influence on driving dynamics in the new BMW X6, since it is also able to use the actuators serving for BMW's new Dynamic Performance Control. Depending on driving conditions and with fully variable management, the power of the engine is no longer split "just" between the front and rear axle, but also – through Dynamic Performance Control – between the left and right rear wheel, feeding additional power to the most appropriate point where it can be conveyed best to the road. The difference in drive forces between the two rear wheels provided by Dynamic Performance Control can be as high as 1327 lbs-ft (1800 Newton-meters). But even then, all the driver will feel when Dynamic Performance Control intervenes is a – significant – increase in agility, traction and driving stability. As a result of Dynamic Performance Control's intervention, the Dynamic Stability Control intervenes much less frequently than before. In practice, this means that the driver is able to use the full drive power and torque of the engine much longer than with a conventional system, DSC acting on individual wheels or reducing engine power only when the driver really pushes the car to the extreme limits of physical performance.